Television is a must-have for every home. Because of that, you need to look for only the best that is suited for you and your family’s home. The good thing is that Avision LED TV exists to be your perfect entertainment buddy whenever you need it. But before we get into that, we’ll share with you an overview of an LED TV. 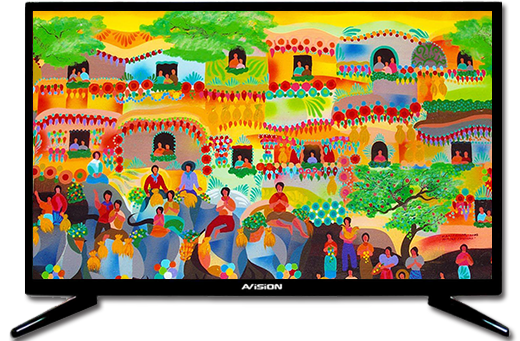 Avision LED TV is advanced and produced to deliver a brighter screen with high color accuracy. It also showcases strong image contrast that will truly upgrade and enrich your viewing experience. Here are more reasons that you should keep in mind if you’re looking to get one. The quality and performance of a television is a significant factor to consider before buying it. With Avision LED TV, the enhanced brightness gives the images a clear and bright feature. This means that it can be viewed easily even if the rooms are not well-lit; making you enjoy your shows more without having to squint your eyes. No worries about the electricity bill! Avision LED TV consumes less energy and produces less heat than other TVs like plasma. Having a reduced energy consumption will save you more money which you can then use for other necessities instead. It won’t affect the performance, in fact, Avision LED TV will still give you the viewing experience you surely do not want to miss. Wanting to move your TV badly but can’t because it’s heavy for a one man job? What’s great is that Avision LED TV is thin and lightweight, so it’s easier to move and install anywhere inside your house. Not happy with its current position? No problem! Just move it with ease, even without assistance, until you find the best spot for your TV. 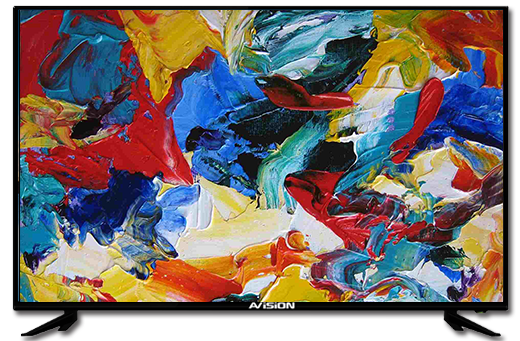 Avision LED TV comes in many sizes; you can choose freely what screen size you prefer for your living room, bedroom, or even kitchen if you want! With different sizes comes different purpose too. Both big and small screens can also be used to extend your laptop screen so you can enjoy gaming even more! Everyone knows that image quality is important. 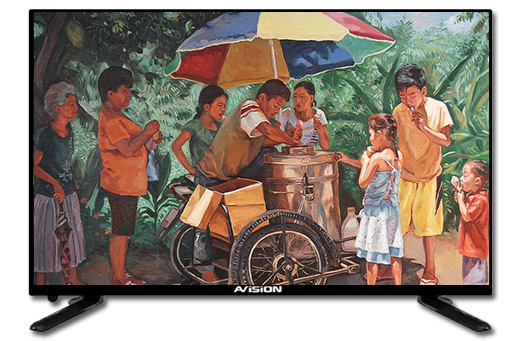 Avision LED TV offers clear resolution enhancer that lets you enjoy pictures on your TV with detailed textures. Aside from those, image noise is also reduced, and images appear more natural because of its added depth and realism. Enjoy your favorite shows without getting anxious about how bad quality images will affect your viewing time. Tired of getting your shows interrupted because of power problems? Avision LED TV safeguards your television even from the toughest conditions like a power surge, humidity, dust, and even lightning. Just like any other home appliance, your Avision LED TV deserves and has its protection too! Something that not everyone notices, but high-quality sounds from speakers make watching experience extremely better. Take delight as Avision LED TV provides quality speakers that will surely stimulate your excitement while you watch your favorite shows! All you get from hearing audio on Avision LED TV is a clear, more precise, and natural sound. Nothing more, nothing less! Go beyond what you think you’ve experienced before, this 40-inch LED TV redefines the way you see things. Let the rich and vivid colors fuel you and your family’s imagination even more! 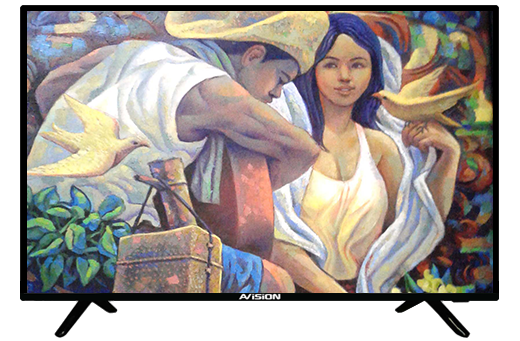 Sit back and let Harana serenade your loved ones for you with its superb sounding TV speaker. Place it at the center fo your entertainment room, and you can just sit back, relax, and have fun! You deserve to have a break after work. Let Sorbetes do the talking! Connect any USB storage device to it and view any movies you own. Plus, your view your photos and video too! Enjoy a viewing experience that is clear and high quality! Get the fastest response time of 5ms; this is The Juan and only TV that is small yet perfect for your viewing needs!